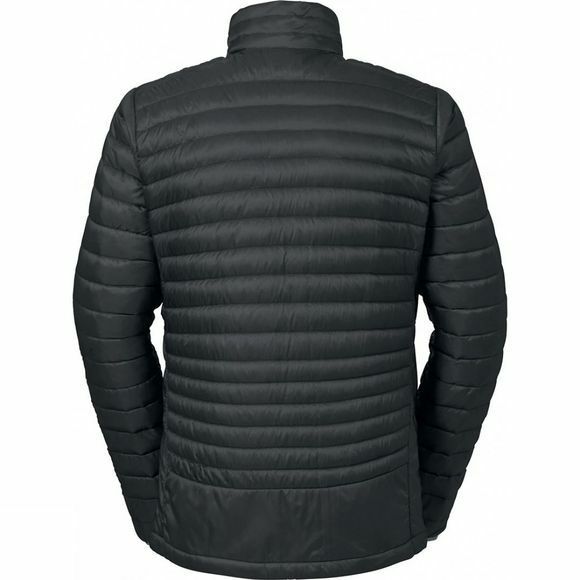 The Mens Kabru Light Jacket II from Vaude is a featherweight down jacket. 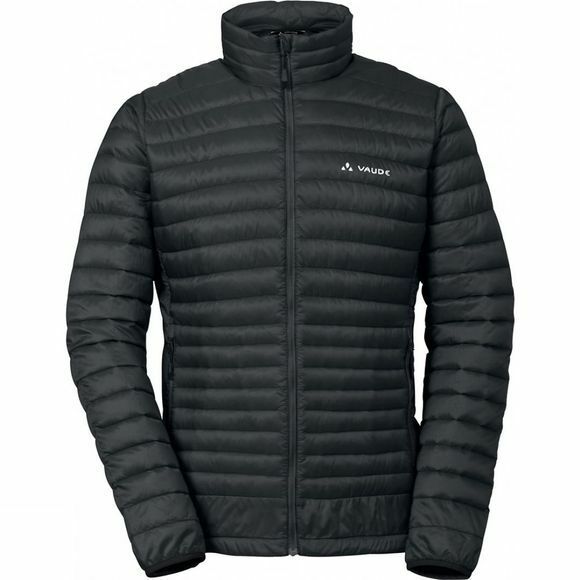 This thermal jacket packs down small thanks to super lightweight yet stable Pertex Quantum outer material. Stretchy fleece inserts under the arms for more freedom of movement. A humidity-repelling PrimaLoft Insulation Silver Eco is used to line the cuffs and side chambers. Ideal for cool peaks and shady belays. Can be worn as a warm midlayer or as a lightweight, comfortable outer layer and is easy to pack thanks to the very small pack size. The primary material features eco-friendly manufacturing in accordance with the strict bluesign system standard. The 800 fill power down is certified in accordance with the Responsible Down Standard (RDS).